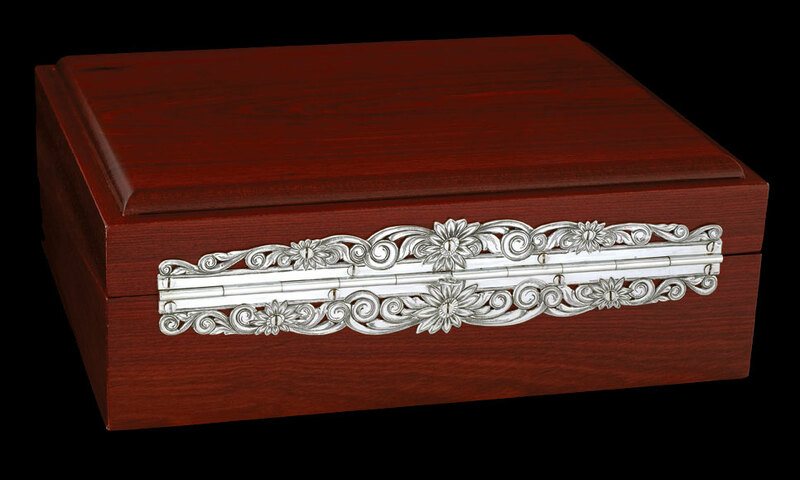 The bloodwood box for the flask set is completed with a handengraved and filigreed sterling silver hinge. 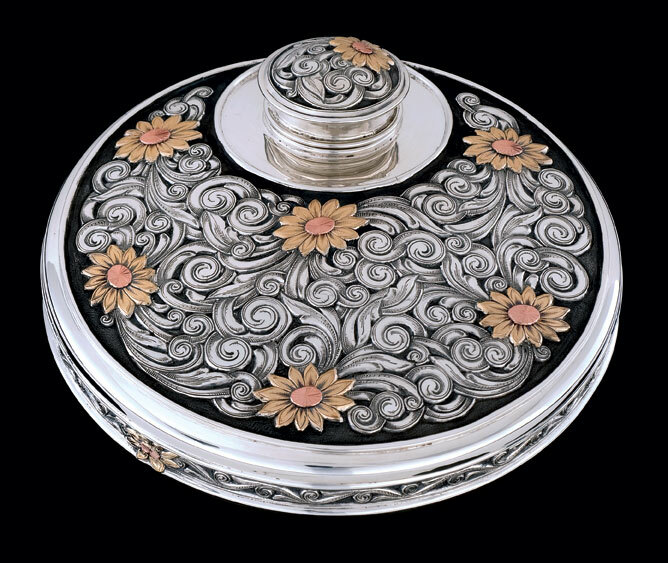 A sterling silver stop holds the lid in position when open. 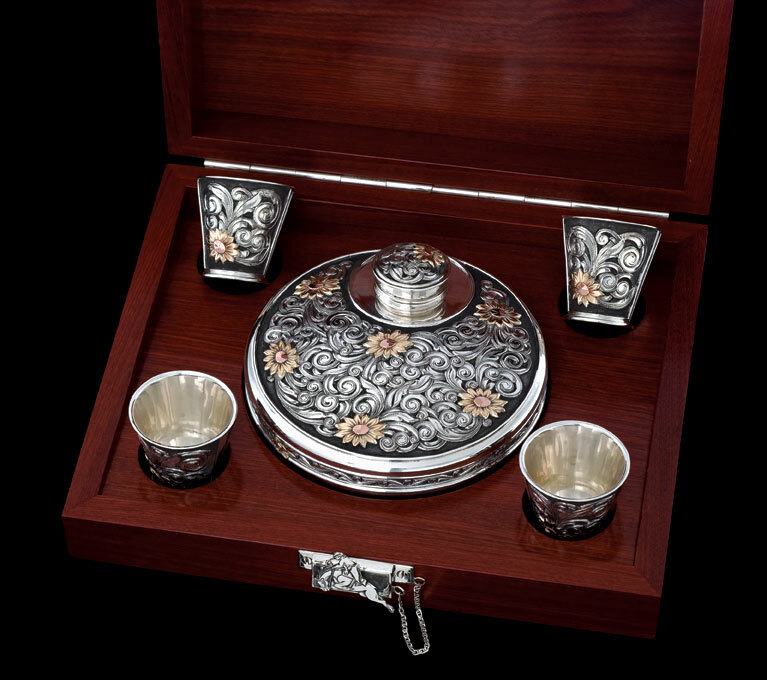 The flask, with distinctive forward lid, holds 20 ounces of spirits and weighs approximately 3 pounds empty. 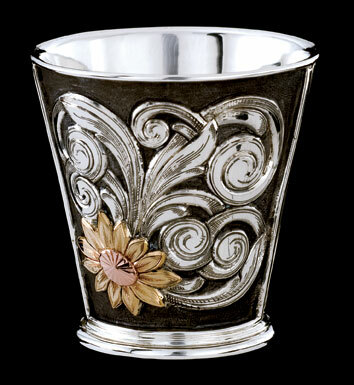 The shot glasses, hand-engraved with 14K gold flower and sterling silver overlay scrolls, hold an ounce of spirits and weigh a ¼ pound each. 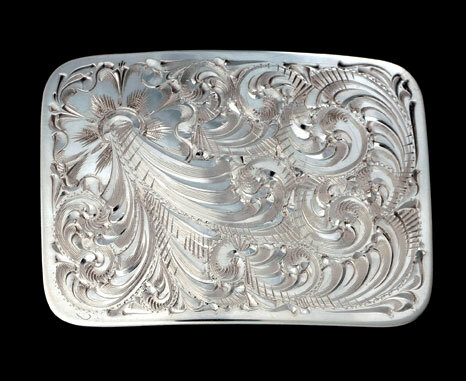 The reverse of the buckle and tip are hand-engraved and the set screw of the tip has an overlaid sterling silver flower. The reverse of the buckle and tip are hand-engraved and the set screw of the tip doubles as the seed pod of an overlaid 18K green gold flower.